Pick up from your accommodation in El Calafate at 07:00 hrs. The trip takes 2 hrs. and 30 minutes approx. We will take the 40 route, which goes along the border of the Argentino Lake, we will make a small stop at la Hotel La Leona, where we will have time for a snack. After that, we will go on with the route until El Chaltén. Experience required: Minimum fitness. No trekking experience required. 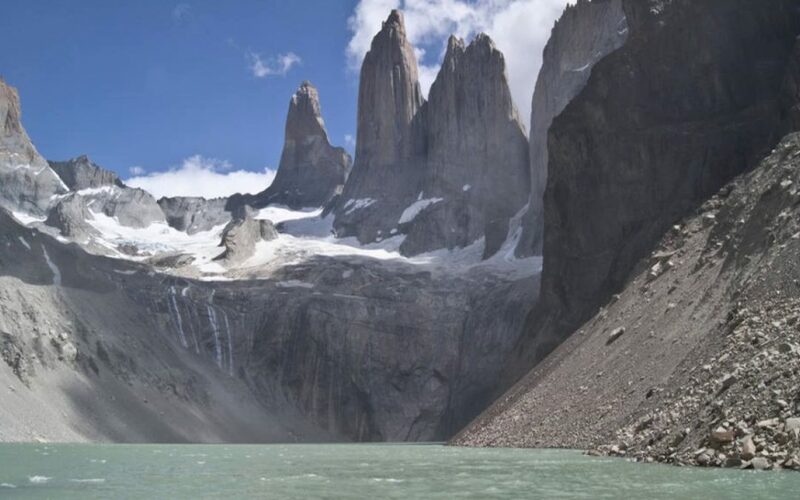 These are the shortest walks from El Chaltén. One takes you to a viewpoint on the top of a small hill, Cóndores, overlooking the town of El Chaltén. This viewpoint lends itself to spectacular. Los Condores Viewpoint: After a gentle climb of some forty minutes we arrive at a viewpoint which is strategically located for the possibility of spotting condors on their frequent flight between the valleys of the Vueltas River and the Fitz Roy River. This viewpoint is recommended for those who love photography; from here you can take impressive shots of sunrise. It is the ideal spot for people who arrive at midday, want a short walk to understand the geography of the area. Las Águilas viewpoint, this is not far away, with just 30 minutes between one and the other, a gentle stroll along the path to admire the vast space of the Patagonian steppe and immensity of Lake Viedma. An easy trek perfect for those short of time or not wanting to trek all day. A walk that allows you to enjoy the mountains, glaciers, glacial valleys, Patagonian forests and lagoons. After 20 minutes ascending from El Chalten in to the park, we will arrive to the Rio de Las Vueltas viewpoint. The path winds its way up the valley side, affording a lovely view of this glacially formed valley. You will also trek through part of the Patagonian forest – of lenga and ñire trees. This activity may last 12 hours in total, enough time to visit some viewpoints. Then, we will go back to El Chaltén to begin the return to El Calafate. The bus will depart from El Chalten at 19:00 hrs.